Partly cloudy. Slight chance of a rain shower. High around 60F. Winds NNW at 15 to 25 mph.. Mainly clear. Low 39F. Winds NNW at 10 to 20 mph. 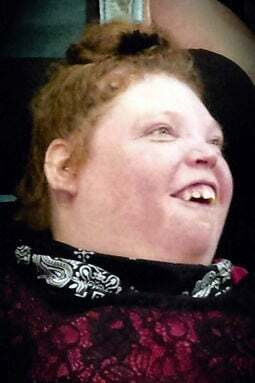 Kayla Jean Carlson, 34 years, of Nickerson passed away Sunday, Jan. 27, 2019, at Methodist Fremont Heath in Fremont. Kayla was born on March 29, 1984, to Larry and Deb (Jones) Carlson in Alliance. From birth until the age of 24, Kayla lived on a farm near Hay Springs, Nebraska, with her parents and sisters. In 2010, she moved to Nickerson with her parents. Kayla attended the Mosaic Day Program in Fremont. She was a member of Salem Lutheran Church at Fontanelle. Kayla loved her family, her friends, and loved being active in the community. She is survived by her parents, Deb and Larry Carlson of Nickerson; sisters, Kristina (Brandt) Hagan of Lincoln and Cassie Frimann of Lawton, Iowa; niece, Brighton Hagan; nephews, Garrett and Drake Frimann and their father, Larry Frimann of Sioux City, Iowa. She was preceded in death by her grandparents, Lloyd (Wilma) Carlson; and great-grandparents, Wester (Nora) Jones. The funeral service will be 10:30 a.m. Friday, Feb. 1, at Salem Evangelical Lutheran Church at Fontanelle. The Revs. Allison Siburg and Bob Hayden will officiate. Visitation will be Thursday from 5 p.m. to 8 p.m. at Moser Memorial Chapel in Fremont. Visitation will continue 1 hour prior to the service at church on Friday. Burial will be at Salem Lutheran Cemetery at Fontanelle. Memorials may be directed to Mosaic in Fremont. Online condolences may be left at: www.mosermemorialchapels.com.